Taylor Johnson, a history and Russian studies double major who graduated from the University of Richmond earlier this month, has received a Fulbright English Teaching Assistant grant. Johnson is from Robbinsville, New Jersey. She will be teaching English in a school in Ukraine September 2017 through June 2018. While there, she plans to also complete a project on how young Ukrainians define national identify and patriotism. 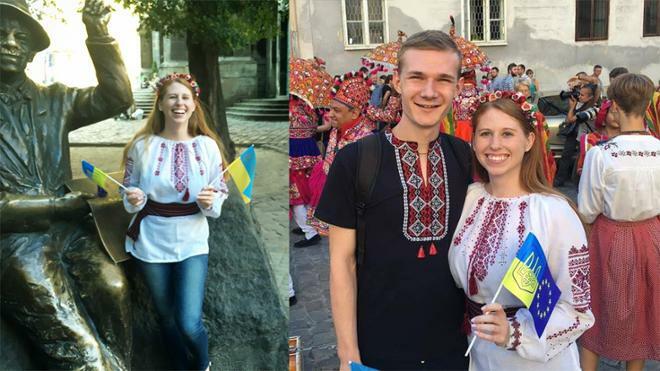 Johnson speaks Russian and will attend a two-month intensive Ukrainian language program this summer to prepare for her time in Ukraine. Johnson studied abroad in Seville, Spain, and St. Petersburg, Russia, during her time at the University of Richmond. She is the second University of Richmond student to be awarded a Fulbright award for this year. Ryan McEvoy was awarded a grant to teach English in Germany. University of Richmond invests in opportunities that enrich and expand the educational experience, including study abroad. Richmond’s international education program sends nearly 65 percent of undergraduates to study abroad with university support, while bringing international students from more than 75 countries to study on campus. The Fulbright Program is the flagship international educational exchange program sponsored by the U.S. government, designed to increase mutual understanding between the people of the United States and other countries. The Fulbright English Teaching Assistant Program places recent college graduates and young professionals as English teaching assistants in primary schools, secondary schools or universities overseas - improving foreign students’ English language abilities and knowledge of the United States, while increasing the U.S. student's own language skills and knowledge of the host country, according to the Fulbright U.S. Student Program.